Yann is responsible for 6WINDGate’s product management. He works closely with sales, marketing and R&D to define and implement the 6WINDGate and Speed Series roadmap. Yann has held miscellaneous positions at 6WIND, from joining the company as a QA engineer in 2001, managing the software outsourcing team in Vietnam in 2004, being 6WIND’s first pre-sales engineer in the US in 2008 to managing the customer support team back in Paris in 2009. These diverse experiences allowed him to develop an extensive knowledge of the 6WINDGate product and of 6WIND’s ecosystem of partners and customers. 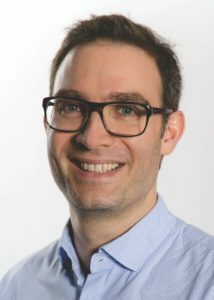 Yann holds a MSc in Computer Science, with a major in Systems and Networking, from ENSIMAG (top French engineering school specialized in Computer Science and Applied Mathematics).